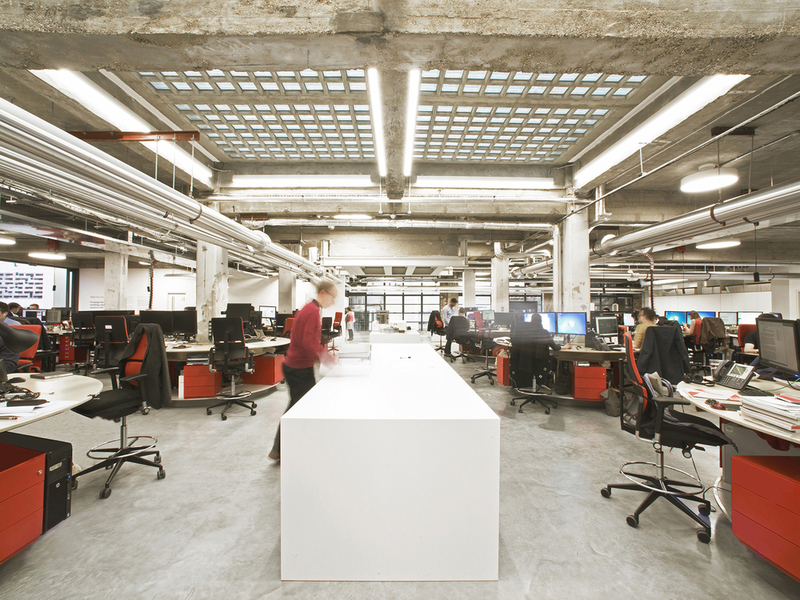 Make Architects were converting a former NCP car park into their new subterranean studio, a 1,300m2 space located in the basement of Middlesex House in Fitzrovia, London. 2MZ were brought on board to develop, produce and install the custom furniture. Make's refurbishment concept was to ‘maintain the utilitarian, industrial look and feel of the car park, while creating a workable, high-spec studio space’. They had strict specifications of what they wanted the furniture to look like, best described as a minimalist aesthetic - clean lines and unobtrusive finishes. Initial concept work was handled by Patalab Architects, who we advised on suitable materials, general detailing and methods of construction. After the first site visit, it became clear that a flat pack system was required for all the larger items of furniture and this in turn impacted on material choice. One of the more complex challenges was to develop a desk which could wrap around the many concrete support columns arrayed throughout the space. The design needed to maximise desk space whilst keeping within the material constraints, no fixings could be drilled into the columns due to their structural nature and no two columns were alike in size or shape. 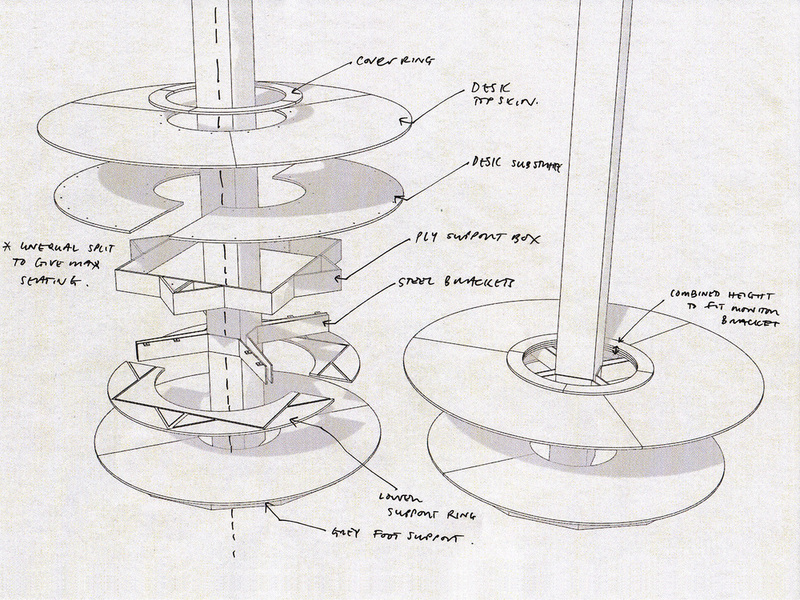 Our solution was a circular desk, which incorporated a metal bracket Make had developed, within a plywood torsion box. Elsewhere we liaised directly with the site manager to ensure installation was as smooth as possible and staggered the process to accommodate the schedules of contractors on site. Other furniture for the project included kitchens areas, display shelving, seating and project storage on a giant scale.